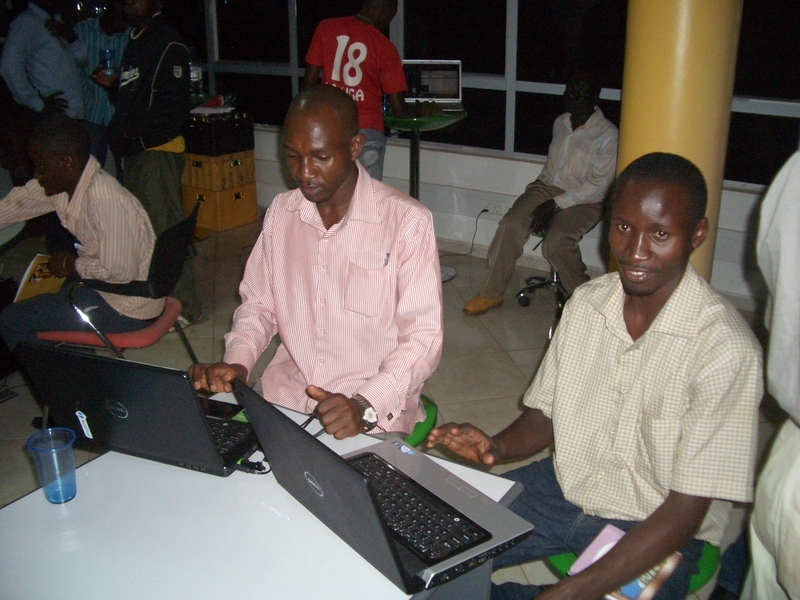 After the monthly meeting of the Linux User Group (LUG) Mbarara, there was another meeting on 23. July. 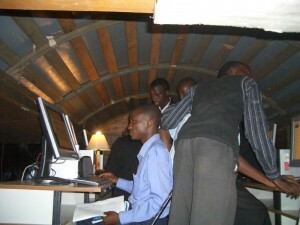 A coorporate meeting of all three LUG groups here in Uganda, with Google. After many weeks of preparation on the Uganda LUG mailing list, many phone calls and a lot of worries, I, who is living 5 hours away from the capital city, to get up at 4:00 am, At 5:00 am, the LUG Mbarara met to drive to Kampala with a hired coaster. 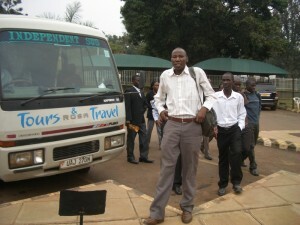 Shortly after 1:00 pm, the time, whe wo wanted to start, we arrived at Makerere university. The traffic jam and the security checks with full body checks made us arrive a bit late. The bulk waiting for us was huge. Fortunately, I just bypassed the waiting crowd to discuss the last details. The rest from Mbarara had, at least, priority to chose places at one of the 100 Ubuntu Thin Clients. Unfortunately the others were not so lucky. 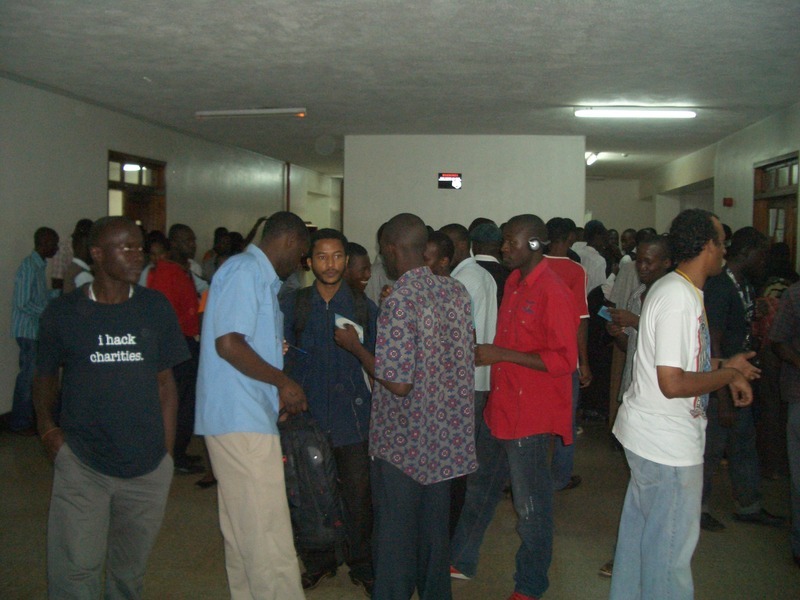 After the room was overcrowded with 160 people, we had to close the doors. 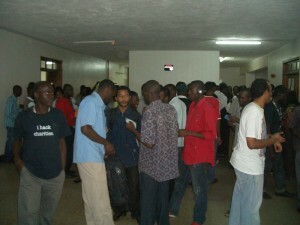 Some other 50 interested people could not enter anymore. Worse Luck. 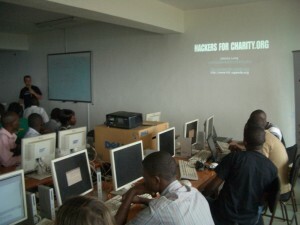 After some introductiory speeches about the Linux User Group Uganda, FOSS software, our partners, Hackers for Charity, S7 Labs, Apps4Africa and Google, the real program started. 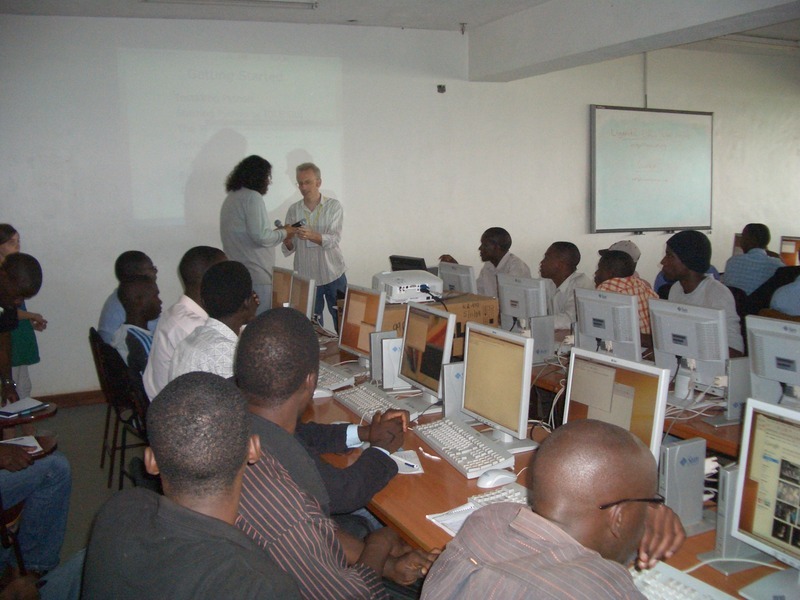 John Chamberlain held a 2 hours introduction to python. In front of 160 people something not really easy. After using the interactive python shell, some calculations and a “hello world” programme, a game got programmed, where the player has to guess a numbre between 1 and 100. The computer then answers smaller or bigger, depending on nuber that the computer generated randomly before. 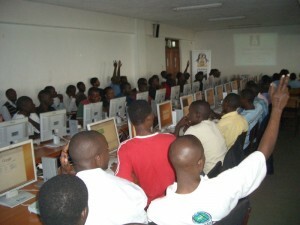 Afterwards Richard Ngamita showed the Goole App Engine. Web programs based on Python, that are hosted by Google and build on an Google frameword, what promises scalable and always available programs. There is no need to connect to a database, this is automatically done, by the Google API. The To-Do list, that was created in the presentation, is really slim. You only need to know all the API commands. Unfortunately my list was on of the few, that were running in the end. In the meantime, Daniel Stern had his UConnect truck build up, to be stared at after the presentations. The great end of the day was the after party in the Google offices in Kampala. A nice office with an nice view on the glowing city in the evening. Although the pizzas were gone even faster as the places at the workstations before, the evening was really great. Next Next post: Facebook Friends?